With fall just around the corner, I have begun my quest for scary, suspenseful thrillers, mysteries, and movies that will raise the hair on the back of my neck. The Little Stranger hits theaters on August 31. 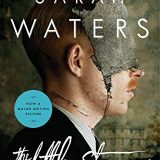 The movie is based on the best selling book by the same title written by Sarah Waters. Grab a cuppa and check out the movie trailer and enter to win one of three copies of the book, The Little Stranger. A feisty heroine, a troubled, soon to be Duke, and two orphaned girls made The Governess Game by Tessa Dare an addictive, swoon-worthy edition to the Girl Meets Duke series. Pirates, malaise, and lessons aided in delivering a heartwarming tale that left me wishing Tessa Dare released a new book every month. A girl can dream right? Come join in the fun! 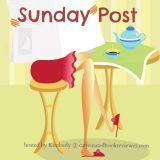 The Sunday Post is a weekly meme hosted here @ Caffeinated Reviewer. 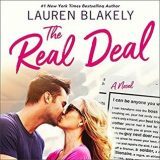 It’s a chance to share news~ A post to recap the past week on your blog and showcase books and things we have received. Share news about what is coming up on our blog for the week ahead. 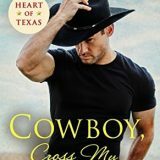 Come check out my coffee dates with Cowboy, Cross My Heart by Donna Grant a page-turning romantic suspense. 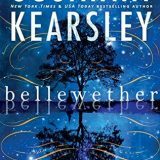 Please welcome Sophia Rose to the blog today as she shares the historical suspense, Bellewether by Susanna Kearsley. 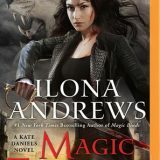 This is an author whose books are in my TBR pile and I am curious to see what she thinks. Grab an iced coffee and enjoy….